Natale Carabello is my piano tuner. 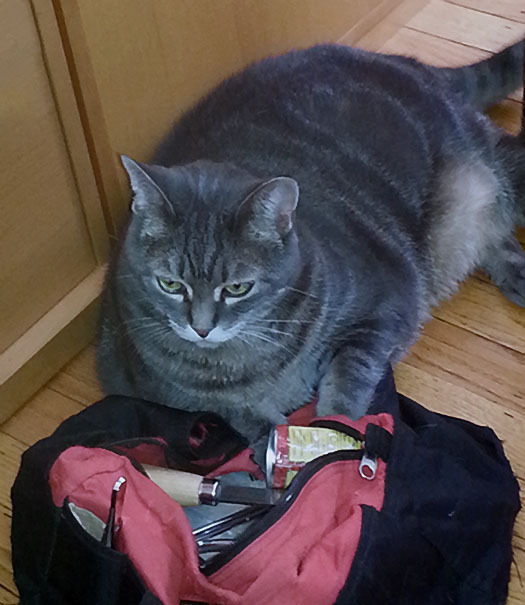 One thing I really like about Natale, in addition to his ability to make my piano sing under my paws, is that he doesn’t mind me keeping a very close eye on the goings on, and on my guarding his bag of tools from would be saboteurs – I’m talking about you, Max. I see you lurking around the corner of the sofa.